A convicted kerb crawler drove into a city centre and prowled the streets for a vulnerable victim before he raped a young teacher. 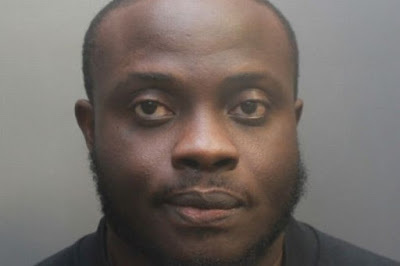 Oluyesi Oni, 36, dumped his victim at a McDonalds “in a state of shock” having raped her twice. She later found out she had been given a sexually transmitted disease and was pregnant. The housing association worker took the 23-year-old back to his bedsit in Liverpool, U.K and attacked her. The Liverpool Echo reported that the victim went to police before learning she had an STI and was pregnant. She later had an abortion. The woman told Liverpool Crown Court: “I thought things couldn’t get any worse and then I found out I was pregnant. He told Oni: “The effects of what you did so far as she is concerned have been extreme and life-changing. “You sought to lie your way out of what you had done, changing your account as new evidence became available to the police.